Mining jobs for women are not nearly as scarce as you might think. Though most people tend to think of mining as primarily a man’s world, there are more and more women making inroads in the industry. In fact, many companies actually prefer to hire women for certain jobs, as they tend to have excellent attention to detail and good safety records. Though it can be a physically demanding job, there is no reason why a woman can’t hold down most positions in the mining industry. Everything from administrative and lab work to actual on-site jobs are now being filled by women and there are always openings available. If you are interested in earning a good living, this may be the choice for you. and to retain their training better. These are important qualities in an industry where skilled workers are at a premium and where proper training is vitally important. For this reason, mining jobs for women are numerous and almost always available. Of course, office and lab work is the first area where people would expect to see women involved in mining operations. But the actual facts may surprise you. Among the most popular positions for women in the industry are dump truck driving, drilling, mobile plant operations and environmental rehabilitation. These are all hands on, on-sitepositions that require women to get their hands dirty right beside the men. When it comes to mining jobs for women, the parameters are all exactly the same as those for male employees. On-site workers will work in shifts, usually comprised of 8/6 or 7/7 roster week periods. Between these shifts, you can either live in a mining community or if, you take a FIFO position, the company will fly you to and from the job site at their expense. Some companies even make special accommodation for couples when both partners work in the mines. In many cases, companies will allow for both partners to be on the same rotation so that their down time coincides with each other. It’s just one of many considerations that companies are willing to give in order to ensure the overall productivity of their operation. It’s no longer just a man’s world in the mines. 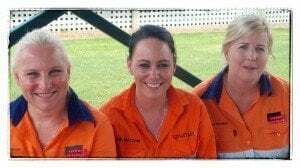 There are many interesting and exciting mining jobs for women available, so if you are looking to make good money in an exciting profession, this just might be worth your consideration. Look into your various options and you can decide which part of the mining industry would best suit you. Don’t assume that being a woman will keep you from succeeding in this industry. Quite the opposite is true. 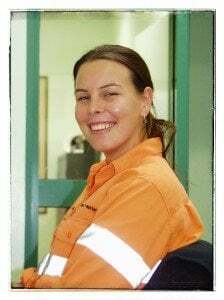 These days, more than ever, it is becoming clear that in Australia awoman’s place is in the mines. So if you have what it takes to handle this kind of work, the perfect job may just be out there waiting for you.